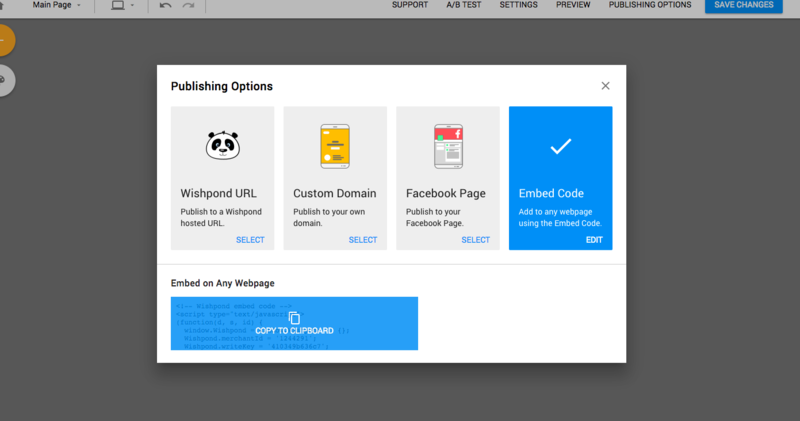 Wishpond forms are static forms that can be embedded anywhere on your website and landing pages. 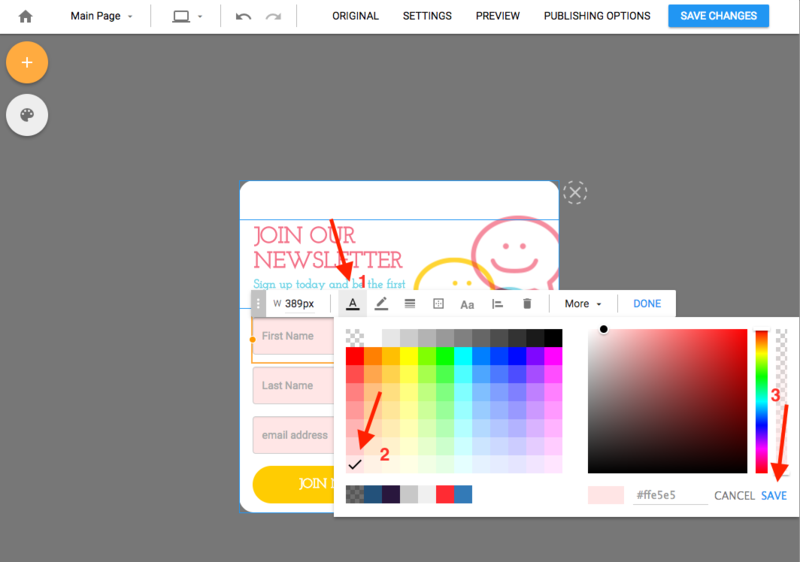 The Form Settings can be used to customize form and label colours as well as set a custom error message colour scheme. 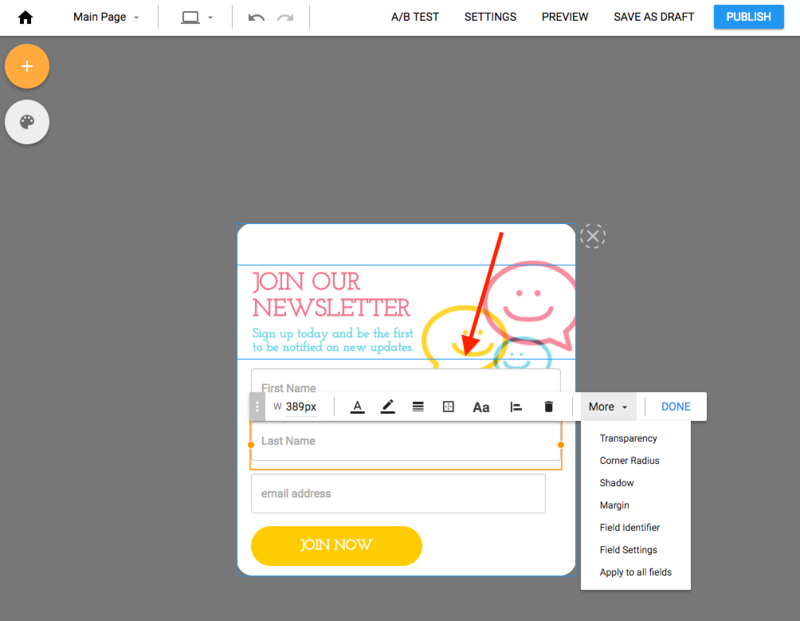 Within the Form Settings there’s also the option to enable “Auto focus on first form field” which will ensure your form is the first thing your users see when they view your page. 2) The form toolbar will appear to Add Field, Cickable Action, Arrange, Delete and More. 3) Click on the specific fields to change customize them even more. 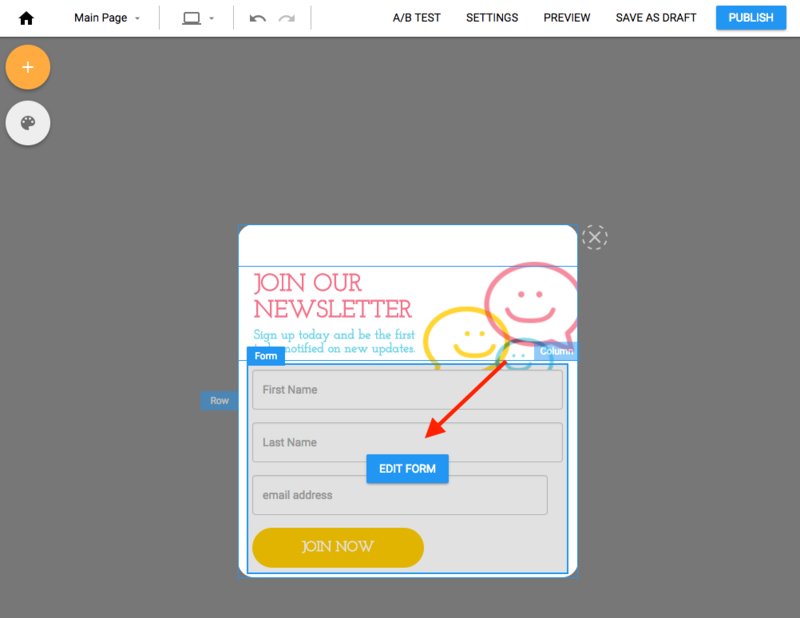 5) When you are ready, publish your campaign, and copy the form code to your website's html <body> tag section.